How Many Frequent Flyer Miles Do You Need to Fly for Free? Hyatt just announced their new summer promotion for 10% off award travel! The Hyatt promotion is part of the World of Hyatt. The Hyatt Gold Passport program was renamed to the World of Hyatt earlier this year. Hyatt rewards are some of our favorite hotel rewards. The Hyatt promotion for summer 2017 is valid for Hyatt Chase card holders. You’ll get a refund on the Hyatt points you redeem between June 1, 2017 and September 5, 2017. If you have travel plans for this summer, you’ll want to take a look! 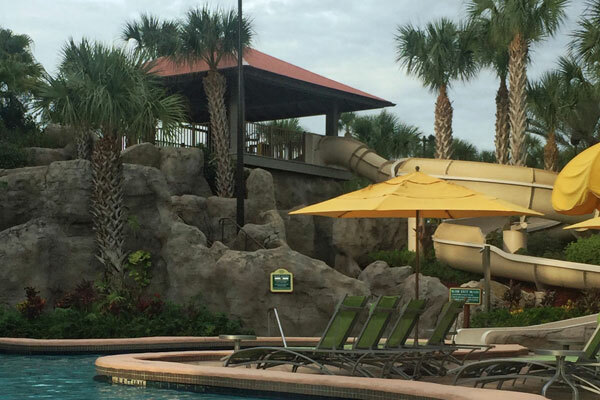 Get 10% back on award stays at the Grand Cypress with the Hyatt Promotion this summer. Register for the Hyatt summer promotion by June 30, 2017. Open a Chase Hyatt card if you don’t have one already. Redeem Hyatt award points between June 1 and September 5, 2017. Get a 10% refund on your Hyatt points. Only points redeemed between 6/1/2017 and 9/5/2017 will be eligible for this promotion. If a redemption is connected to a stay, the entire stay must be completed by 9/5/2017. You will receive 10% Bonus Points back on the World of Hyatt points you redeem for award stays, points + cash, suite upgrades, dining and spa services during this period. Points redeemed for Avis car rental certificates or points transferred to airline partners are not eligible for this promotion. Please allow 6-8 weeks after your point redemption has been completed for your Bonus Points to be loaded into your World of Hyatt account. Sign up bonus: 2 free nights at any Hyatt. Annual award night for a category 1-4 hotel. Register even if you don’t have the Chase card. I suggest you register now, even if you don’t have the card! Why? A few summers ago, before I got my Hyatt card I didn’t register for a similar promotion. I ended up changing some plans and getting the card, but the registration deadline had already passed! Do yourself a favor and sign up for the promotion just in case! Do the Math. Review any travel plans you’ve already booked for this summer and recalculate the benefit. For example, it could be cheaper to book a points stay and get the 10% back and save your award nights for later in the year. 10% back on a 20,000 point award night is a 2,000 point refund. Applies to Points and Cash. The 10% back applies to points and cash bookings too. Keep that in mind when you are calculating the cheapest way to pay for your hotel rooms. Rooms for Families. Hyatt is great for families with more than two kids! The Hyatt Place hotels easily sleep families of five! We have upcoming Hyatt stays for our Florida trip this summer booked at the Hyatt Regency Grand Cypress Resort for our return trip to Universal Studios. In addition, we also have hotel stays booked at the Coconut Point Hyatt Regency in Bonita Springs and the Hyatt hotels in Marathon and Key West for our road trip through the Florida Keys (one of the places listed as 5 Budget Friendly U.S. Destinations off the Beaten Path). Of course, we also frequently stay at the Hyatt Regency Chicago O’hare the night before a flight! I’m looking forward to getting back over 4,000 points from this promotion! Do you have any upcoming Hyatt stays this summer? Advertiser Disclosure: PointsFamily.com is an independent, advertising-supported service. The offers that appear on this site are from companies which PointsFamily.com receives compensation. This compensation may impact how and where products appear on this site, including, for example the order in which they may appear within listing categories. Other factors, such as our own proprietary website rules and the likelihood of applicants' credit approval also impact how and where products appear on this site. PointsFamily.com does not include the entire universe of available financial or credit offers.